What Is meant by impact windows and doors? We’ve seen many people nail plywood over their windows as a creative precautionary measure. But it hasn’t ever proved to the best solution, particularly with the existence of better and far much more efficient impact windows and doors. If you reside in a neighborhood where hurricanes, tornadoes are a norm, take the right precautions before the damages hit your home. A pair of glass is laminated so that in the event the winds and storms blow large stones and tries to break the glass window, the special interlayer then holds everything in place. It is the Polyvinyl Butyral (PVB) or Ethylene-Vinyl Acetate (EVA) that holds the two glasses bonded even when broken and thus minimizes the damages. In the end, the ‘would-be’ sharp glass pieces just form a characteristic “spider web” cracking pattern, and that’s why they are called impact windows. Though frequently called impact-resistant windows, they are stronger window systems were born out of the devastating effects of Hurricane Andrew over 25 years ago in Miami-Dade, South Florida. Their working is based on the principle of having a bigger chance of keeping a home’s roof intact after a damaging wind and storm. As such, even when they are damaged, they won’t allow the house to cave in. In order for a glass to be rated as being hurricane and impact resistant, it must meet design protocols that have been outlined by the Miami-Dade Building Code. The Miami-Dade Building Code requires that all impact windows and doors pass a series of strict product tests. Impact doors are designed to protect the people and property for an entire building. Instead of protecting against a sudden impact, hurricane doors are constructed to withstand a steady wind force. Most impact doors are created from either fiberglass, wood, or aluminum, and they sometimes have interchangeable screen inserts. Some of the best impact storm doors are made from corrosion resistant metal, allowing them to stand up to areas affected by wet weather or heat. Especially for places located on the coast. Impact windows and doors are pretty much available nowadays in Miami, basically, the whole system consists of a frame and laminated glass windows. Frames that hold the laminated glass vary and can be wooden, stainless steel, aluminum or vinyl. The major role of impact-resistant windows is to help cushion against devastating effects of harsh winds. But their prominence is further fueled by the need for a better, more secure glass window, especially in commercial premises. Burglars won’t easily smash the window and gain entry since the entire window system is a lot different from the conventional ones. Impact windows and doors are also excellent in noise reduction and frequently come in handy in those places that need to be kept noise-free, calm and serene and still beautiful. They absorb the sounds, unlike the standard glass windows. 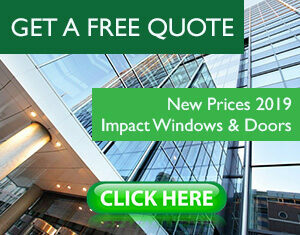 Need the best prices of impact windows and doors in Miami? Impact windows vary based on the size of the panels and the thickness of the layers with .060-in PVB interlayer being the standard one. Impact doors of .090 thicknesses guarantee better resistance when subjected to higher pressures. Prices vary considerably, though, it is always smart to choose carefully and purchase the right one from the different types and an undisputable dealer. 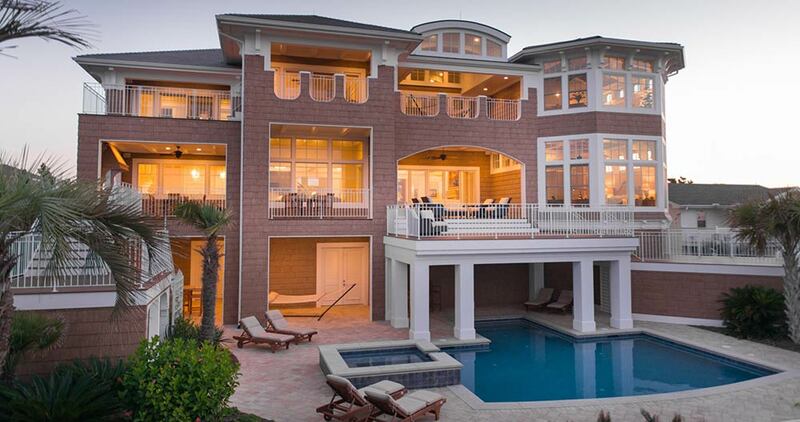 Mostly, select Impact resistant glass windows and doors that have been tested and certified to be used in your area. This entry was posted in Impact Windows & Doors Tips and tagged advantages of impact windows, designer windows, fixed windows, impact window miami, impact windows and doors, impact windows center, miami windows, single hung window. Bookmark the permalink. ← Classicvue™ Aluminum FD101. PGT Essential French Door.